Butterfly Garden — Friends of the Hammock, Inc.
Friends of the Hammock, Inc.
A favorite attraction at Hammock Park is a lovely butterfly garden — an ideal spot to watch natural beauty take flight. The garden, created for the enjoyment of the entire community, features 11 beds with 225 plants in 40 varieties. Crushed shell pathways lead visitors through a flowering display of butterfly favorites. Tucked away on a quiet side street, local gem Hammock Park is home to more than 35 species of butterflies. The community garden is the inspiration of Friends of the Hammock, a local nonprofit group dedicated to preserving the park. A small group of volunteers tackled this ambitious project in partnership with the Dunedin Parks Department and Eagle Scout Troop 422. This garden oasis draws visitors to Hammock Park while providing a valuable habitat for native butterflies. 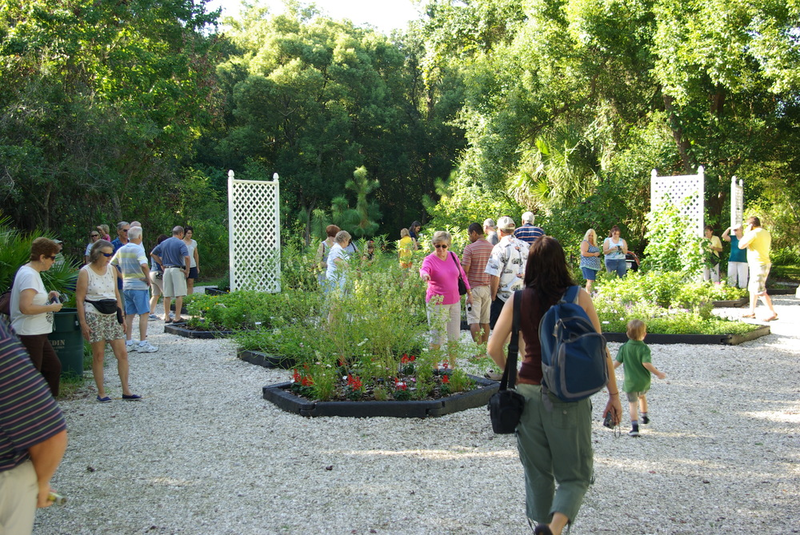 The garden was recently certified as an Official Butterfly Sanctuary by the Florida Federation of Garden Clubs. Other certificates include The National Wildlife Association and the North American Butterfly Association. Theresa and James Polgar spearheaded the project by designing the garden, drafting a budget, raising funds, selecting plants, and overseeing the installation. The garden was installed by a group of volunteers led by Eagle Scout Sean Deeb, with the help of the Dunedin Parks Department staff including Art Finn and Glenn Bechtle. Founding benefactors who provided startup funding for the garden include Herb and Martha Donald, Theresa and Jim Polgar, Bob Young, Pat Jennings, Allan Donald, Ellie Keithly, and Friends of the Hammock.